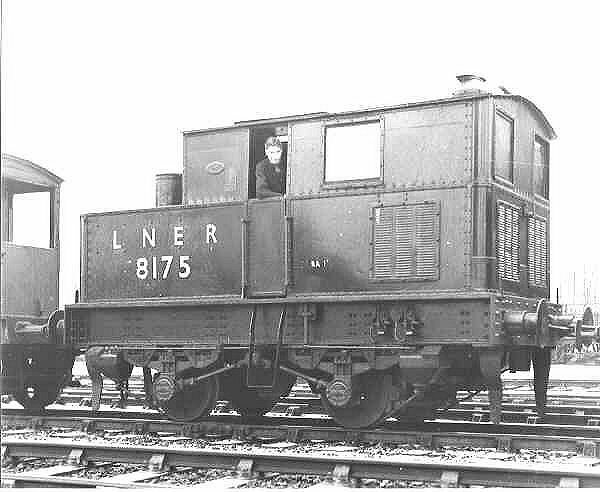 Class Y3 LNER 8175 (formerly LNER 65). The chimney above the vertical steam boiler can be seen above the roof. These geared steam locomotives were built in Shrewsbury by Sentinel. The vertical boiler was enclosed by a cab at one end of the loco, whilst a water tank was at the other end. The transmission was via a two-speed gearbox. The class was introduced in 1927.